Urgent--- Until our phone line is fixed please use 3219 8590. Sorry for the disruption, please ring 3219 8590 instead of 3423 3879. Thankyou for your understanding, kind regards Sandra! Good Morning, due to the huge weather event to ensure safety we have cancelled this Friday's 14th Christmas Party, we will make a later date as soon as possible. We welcome all our families to come along for traditional music and activities. All children's photos will be taken on the 17th Tuesday and 19th Thursday of April. No set times for individual rooms, as each child's photo will be put together in classes digitally. Children who don't attend on 17th or 19th are welcome to come in on the Tuesday or Thursday to have their photo taken from 8.45am-9.45am. ​ We welcome our Fathers, Grandparents and Special someone to this Fridays Fathers Day Fun. From 3.30pm all welcome for an afternoon of laughter and love!! We are lucky enough to secure Tennis coaching every Tuesday from 2pm. Pure Tennis Academy will support the children to reach their highest potential. If your looking to see what it is all about, we are hosting a trial day on the Tuesday 18th. Enrolments open now!! Class is 45 minutes in length and are only $12.95. Peek a boo, we see you too!! Thank you for all your continuing support, our cctv cameras are now in place and ensuring the safety all of our children and staff. Our unique door locking system will be in place in a few days time, these little things will ensure the safety of things that matter most, our little ones. We hope you all had a lovely weekend and were spoilt rotten!! This week is National Families Week 15th-21st, so keep the love going and spend time with loved ones!! 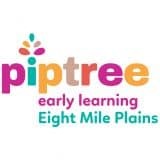 Your are always able to come and play here at Piptree too, if you cant make it extended family can come on your behalf, we would love to share the daily activities with you all!! We welcome families and friends, to come spend some time with us playing games and making each other smile! !